Pete Banning was Clanton, Mississippi’s favorite son—a decorated World War II hero, the patriarch of a prominent family, a farmer, father, neighbor, and a faithful member of the Methodist church. Then one cool October morning he rose early, drove into town, and committed a shocking crime. Pete's only statement about it—to the sheriff, to his lawyers, to the judge, to the jury, and to his family—was: 'I have nothing to say.' He was not afraid of death and was willing to take his motive to the grave. This book failed. It had opportunities for twists and turns that would have helped this story take off. It never takes off. It became painful to finish. I have always liked Grisham, but his books lately have been a disappointment. 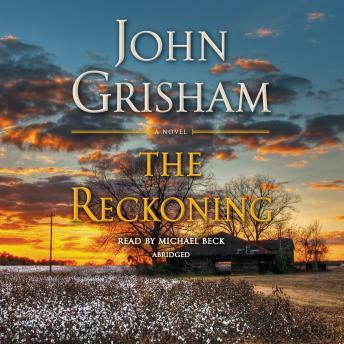 Love grisham, hated this book. Gratuitist heart-tugging, unrelated events, and slow. Could have been a good short story with adequate editing. (warning: spoilers in this review) Contrary to the negativity so far, I really enjoyed this book. During part 2 I was wondering why Grisham had put so much effort into the battle of the Philippines when I felt it could have been condensed a bit not needing to come here for a history lesson on historic fact already learned. After diving into Part 3 I fully understood why he did and the purpose for it. The Only part that had me scratching my head over was, why didn't Florry come clean with the story when the farm was in jeopardy with the civil suite. At that time Liza hadn't revealed the true truth and I think most people would have broke there silence if there was an injustice being committed. Wholly crap the parasites are coming to take the family farm that's been in the family for generations and your going to sit on your thumbs and say nothing. I don't think so. The story line dragged on there was no suspense could not wait for it to be over. Not one of his best book.